Whitman’s HSC recently purchased brand-new warm, winter hats for each of the school’s students. 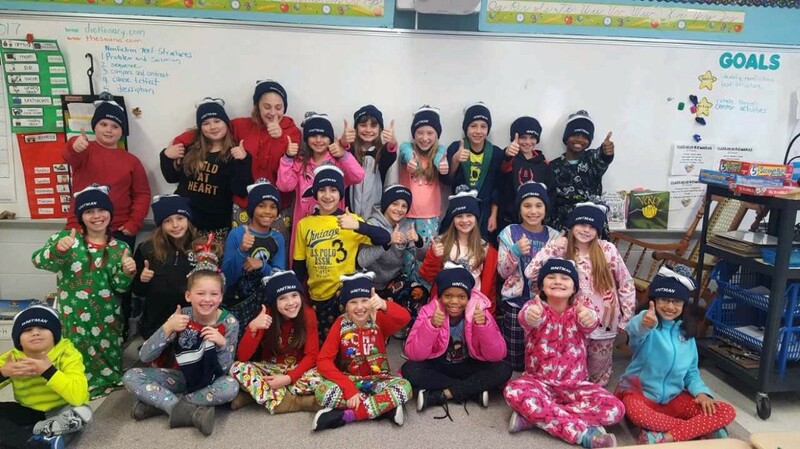 Students in Gina Castano’s fourth-grade class at Whitman Elementary School don their newly gifted Whitman wool hats courtesy of the Home and School Council. The Whitman Elementary School Home & School Council was really looking out for its student body this winter. Whitman’s HSC recently purchased brand-new warm, winter hats for each of the school’s students. “We want to give special thanks to our HSC Executive Board for the memorable gifts they provided for our children,” Whitman Principal Ray Anderson said.